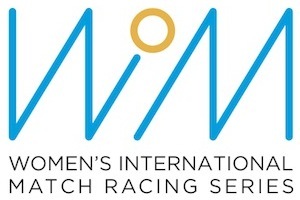 The Women's International Match Racing Association (WIMRA) is an international association of women sailors devoted to expanding and strengthening women's match racing as a sport and promoting opportunities for competitive women's sailing at every level. WIMRA's vision is to create a pathway for women to compete at the highest level in the sport of sailing. By using the platform of competitive match racing, the sailors and teams can gain knowledge and skills that will translate to successful business and life skills. WIMRA is a woman-led designated 501c3 organization with a mission to promote the sporting event, women's sailing, competition, female entrepreneurship, global relations and cultural exchange. WIMRA is the champion of women's international match race sailing at every level from the developing sailor to the experienced professional. After the incredible success of women's match racing in the 2012 Olympics, WIMRA created the first and only professional sailing series for women in 2013 - the WIM Series (www.wimseries.com). WIMRA's Articles of Association were adopted in 2007. So this is what 47 knts looks like on Eagle Mtn.